CorelDraw, saya yakin bila sobat blogger mendengar nama ini pasti langsung berfikir ke sebuah software yang digunakan untuk keperluan desain yang banyak digunakan oleh para desainer-desainer Indonesia. Software yang satu ini memang sangat menarik dan bagus jika digunakan untuk mendesain apalagi sama yang sudah mahir menggunakannya. 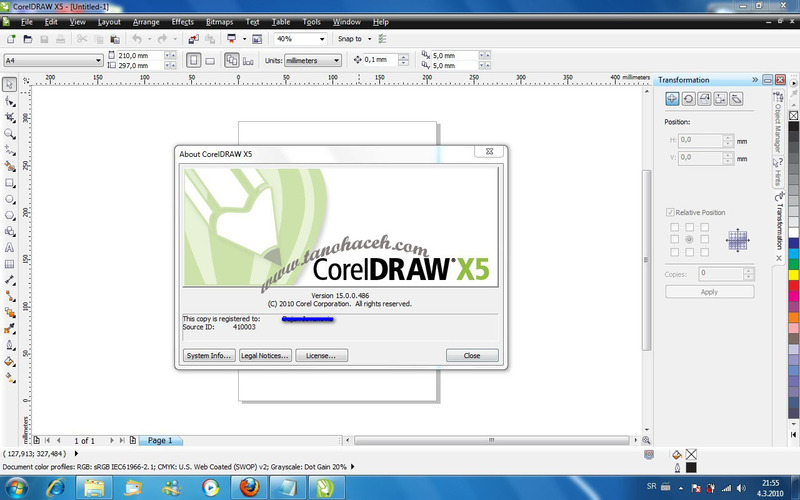 Seperti yang kita ketahui, kini CorelDraw sudah merilis veri terbarunya, yakniCorelDraw Graphics Suite X5. 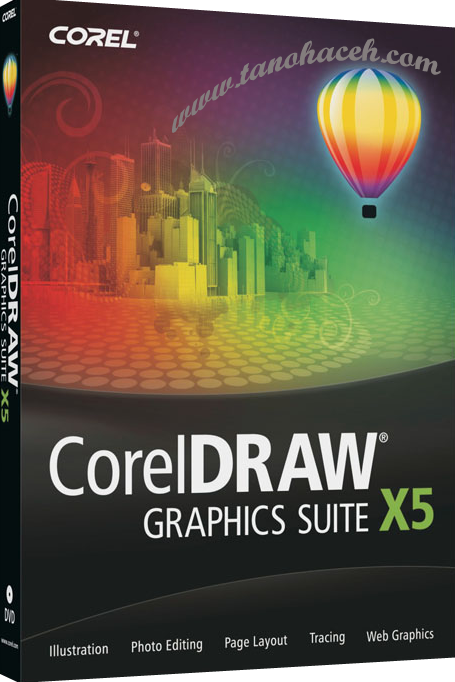 The package CorelDRAW Graphics Suite organized a high degree of compatibility of the widely used formats, including Adobe Illustrator, PhotoShop, Corel Paint Shop Pro, Microsoft Office, JPEG and PDF. This version correctly saves files in previous versions. Cdr, the very same store files in a format cdr X5 beta version is not recommended. Professionals in the field of applied design. Employees of government agencies and commercial organizations. B-Spline tool which makes drawing curved lines easier. Intelligent lines which helps you draw perpendicular or tangent connecting lines between objects. Rounded corners have been enhanced to make rounded-corner shapes more scalable. 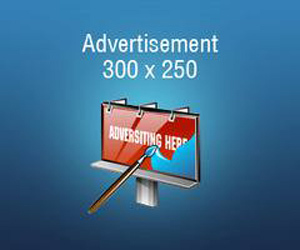 Artistic media tools have been updated for pressure sensitive effects. The Mesh fill tool has been improved to provide better color transitions. A new Document palette records every color used in the design, making it easier to use the same colors in another design. A pixel preview option in CorelDRAW lets you see exactly how a design will look when output to bitmap formats. Improvements to Export for Web dialog. Eyedroppers in more places with RGB value previews for easier colors sampling. 40 queries | 0.835 seconds.